Shalwar kameez, also pronounced as Salwar Kameez. That is traditional dress of South and Central Asia. It is mostly worn in South Asian countries like India and Pakistan. In Bangladesh, it is worn mostly by women. Shalwar are loose pajama-like trousers. Usually the Kameez is cut straight and flat; older kameez use traditional cuts. Some modern kameez are comes sleeves like European style. 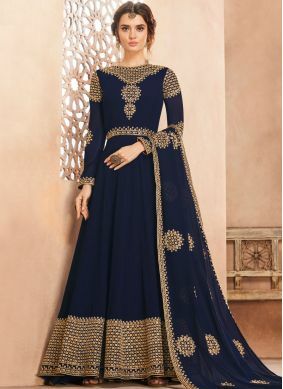 The tailor's taste and skill are usually displayed, not in the overall cut, but in the shaping design of the neckline and the decoration of the kameez. The kameez may be cut with a deep neckline, sewn in diaphanous fabrics, or styled in sleeveless designs or cap-sleeve. The kameez side seams may be split up to the thigh or even the waistline. In India, the garment was originally popular to the North, but as a convenient and modest alternative to a sari, it has become popular across the nation. They made in almost all fabrics and can be worn in various seasons. Asiana Fashion is one of the online store for salwar kameez online shopping. 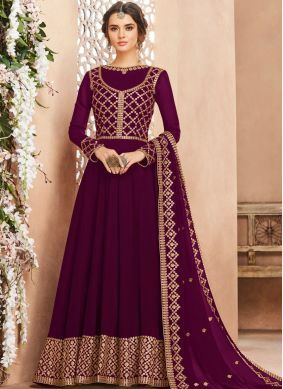 Latest salwar suit online available for ready to ship worldwide.